San José de Calasanz is a vocational training centre founded in 1969. It is located in Santurtzi, a municipality of about 50,000 inhabitants on the left bank of the Nervion River, one of the most populated areas of Metropolitan Bilbao in the Basque Country. San José de Calasanz has been training students from all ages for 45 years. Each year approximately 1,500 students pass through their classrooms, 500 in Compulsory Education (until the age of 16) and more than 1,000 studies of initial and vocational training for unemployed people and qualification programs aimed at getting a job. They are professionals working in health, social services and community and business administration and marketing services with great tradition in their area of influence. Teresa Monge is one of the most experienced teachers in entrepreneurial training at this school. She shares the keys to the transformation of her educational model aimed at the development of the entrepreneurial skills of the students. I’m Teresa Monge. I have been working in education for almost 20 years, 18 of them in San José de Calasanz. I’m a language teacher and I started in Vocational Training. I went to compulsory education and for the last eight years I have been a coordinator of Secondary Education. In this course I have assumed the position of Head of Studies. What is the role of entrepreneurial education in the official curriculum of your students? In the Basque curriculum, there is a specific competence: Competence for initiative and entrepreneurial spirit. It is a transversal competence that is a competence that must be promoted from all areas to apply in all areas of life. In what way do these entrepreneurial skills work at school? Until the 2015-16 academic year, entrepreneurship was stimulated and developed transversally through interdisciplinary projects in which students worked through cooperative work. 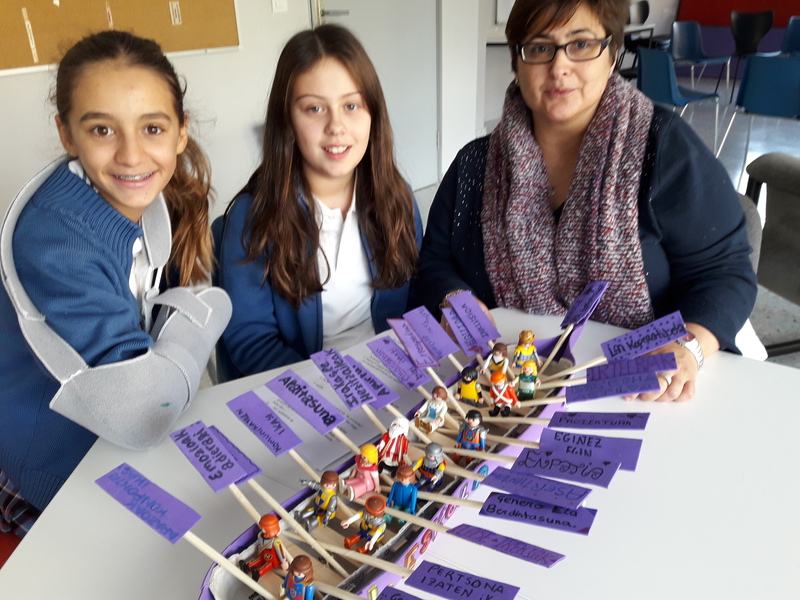 However, more specific work was carried out through the “Egin eta Ekin” Entrepreneurship Program promoted by the Provincial Council of Bizkaia, where all secondary level students participate. Specifically, the 1st and 2nd of secondary level is more powerful for the generation of ideas that stimulate creativity to design inventions that can respond to real needs. In the 3rd and 4th of secondary level, the business plan is worked through the creation of companies. As of the 2016-17 academic year, this entrepreneurship program was included in the area of ​​Economics, since then we understood that the design of a business plan was perfectly integrated with the learning objectives of this area. Its integration in this area has made it possible to systematise the evaluation of this competence, which was not done until that moment in a specific but general way. What level of participation does the student have in the evaluation? Does this evaluation of competences have any specific weight in the qualification of students? The evaluation is carried out through a systematized assessment of teamwork, the product presented, the use in integration of ICTs as e-portfolios, the SET tool and the oral presentation of it. In short, it is intended to evaluate not only the final product – an idea, a business plan – but other transversal skills such as verbal and digital communication, competence to live together, to learn, to think …. Along this project, students take an active part in the evaluation process and the results are very important because it will be a third of their final grade. In the evaluation of the entrepreneurial skill of the students, is the evaluation a punctual evaluation or is the progress and / or development that the student has shown measured? How? Being a competence closely linked to projects, students always work in a group, through cooperative work that allows, through the evaluation records, a daily monitoring of the work done to check progress and adjust / correct those aspects that may be subject of improvement. The act is an essential instrument in the assessment of teamwork and the final evaluation of the project. In this evaluation process, what is the role of ICTs? Do you use evaluation platform, apps or TICs as an active part of the procedure? What is the relationship between the platform and the evaluation model? Is it used by the teacher or also by the students? We use digital platforms for the evaluation of the evidences of the students’ progress. Two of the most powerful tools are SET and e-portfolios where we can see and evaluate the real progress of each student between the seasons. 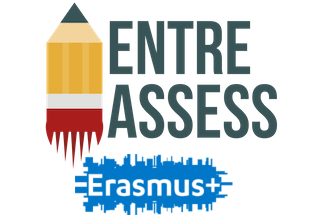 About students, your educational model, the new profile of citizen and worker for the 21st century, what are the main objectives why you have included entrepreneurial competences as an important part of your educational model? Are they being fulfilled? What have been the mistakes of those you have learned in this way? As previously mentioned, entrepreneurship is part of the curriculum of our students and it is the duty of schools to stimulate and develop it. In addition, in San José de Calasanz it is part of the DNA of the school because the entrepreneurial spirit has been very much promoted with the students of VET, as a crucial part of their learning process and of improving their employment rate. In our school, secondary students go out to continue their studies because VET levels and secondary levels follow the same vision but in general are different students. Developing entrepreneurial competences allows students to learn to work as a team, to be protagonists of their learning, fosters creativity, stimulates multiple intelligences, digital competence, develops divergent thinking… During this process, we have learned from mistakes, many of which are closely linked to teamwork, to the use of ICTs and to student performance. In this journey can you tell us the main milestones for the students, for the school and the future lines in the development and evaluation of the entrepreneurial skills in relation to the needs of the society and labour market? So far, the journey has been very satisfactory. The school was the initiator of this experience in Bizkaia. On the other hand, the entrepreneurial culture in our school has been mainstreamed, allowing us to give unity and coherence to an important strategic line for us. We understand that it is increasingly important to provide students with reasons to develop their creative talent, their ability to lead, to solve problems, to work as a team, in short, to acquire those skills that will be essential in life and in the work market. Thank you, Teresa, for sharing your experience and congratulations for the work you are doing and that of the whole school.